I hope you all have a wonderful day and a Happy Easter! 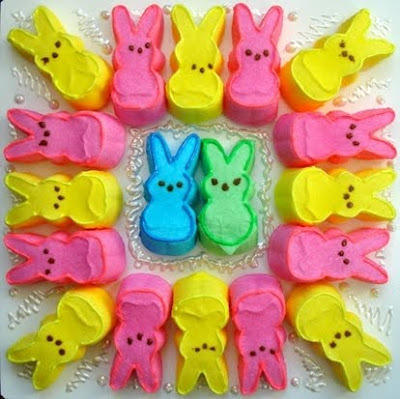 This picture is courtesy of the official Peeps website. While searching for photos of these sugary treats I found out that they now have chocolate dipped Peeps! How did I not know of this creation?! How will you guys spend your day? A week late, but I hope you and the family had a wonderful Easter! I used to love Peeps when I was little, but I haven't had one in ages. Chocolate dipped ones sound yummy!